Stepstone Academy leaders needed an assessment like MAP Growth K-2 for differentiation and to track performance against state standards. Read how it fits with their focus on growth. How a Minnesota district reversed low math performance with an innovative approach. Read how educators in Oconee County use MAP Suite data to differentiate and deliver targeted instruction where their students need it most. Educators at North Mason wanted a cohesive assessment plan for their district. With help from NWEA, they aligned assessments to appropriate purposes and began focusing on student growth. Selecting MAP Growth enabled Norwalk leaders to reduce the number of assessments they needed--by 24 tests. Find out why MAP Growth is a critical part of their assessment system. Read how professional development and data coaching are helping Somerdale Park educators use MAP Growth data to its fullest potential. After selecting MAP Growth, administrators at Bay District Schools in Florida helped struggling students experience phenomenal growth. Read how they informed instruction with their test data. 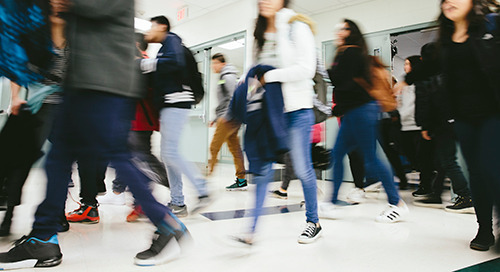 When Rensselaer Central Schools switched to MAP Growth, they wanted to ensure it was strongly aligned to Indiana state standards. So, they created their own linking study; see what they found. Read how the fourth largest school district in Kansas began using MAP Growth to help inform student learning and professional learning in grades K-2. The phenomenal growth in Southwest Local School District is unique – it started by using MAP Growth in high school. Read how they applied what they learned to promote growth at all grade levels. It’s a challenge to create individual instruction for more than 30,000 students. Learn how Poway Unified got a full picture of each student’s learning. 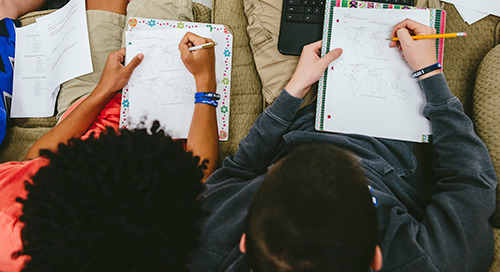 Discover how these two schools use MAP Growth data through Step Up For Students, a tax-credit scholarship program serving low-income students, to achieve results for student participants. This Kansas middle School is using MAP Skills to ensure every student is getting instruction where they need it most. And it's already proving to have a huge impact -- read how. How can schools overcome barriers to learning, like poverty -- and know that they're on the right track? Simple: MAP Growth from NWEA. Westfield-Washington Schools was challenged to reconfigure schools annually to accommodate expansion. They credit NWEA as a stabilizing force amidst constant change. Discover how a Minnesota high school reversed low math performance with a rigorous program and measurement from MAP Growth. After years of effort, Pewaukee School District now boasts one of the highest graduation rates in the state. Hear why partnering with NWEA has made a positive difference for them. With 80% of students meeting proficiency, learn how Panhandle School District used MAP Growth data to illuminate the needs of high-performers. Have inconsistent data use? So did this district. Read how Novi district leaders overhauled their assessments and started using MAP Growth data to its fullest potential. Five years after embracing MAP Growth, Nenahnezad School moved from the lowest-performing to a top-ranked Bureau of Indian Education school. In 2009, academic achievement at Genoa-Hugo was so low that the school was on the brink of being taken over by the state. Read how MAP Growth made a difference for this Colorado school.